I've missed doing my regular videos and blogging on a weekly basis. I think my mojo went on a vacation for a few months, but I feel it coming back. I plan on getting myself back in to my regular video making routine for July. To get myself pumped...I made a video last night. I hope you enjoy. Here are a few photo's of the finished card. So happy to see you back. Love your card. Beautiful card! Love that you're back. Love the colors and the details with the twine is really pretty! 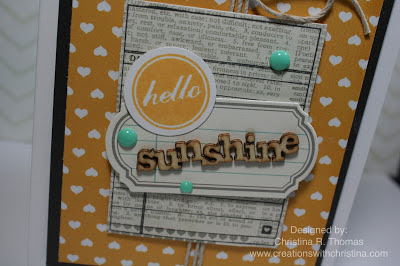 I am obsessed with those enamel dots! Aren't the great!! Really like the card. Some great color and love that paper pad...looks like I need to do some shopping :). 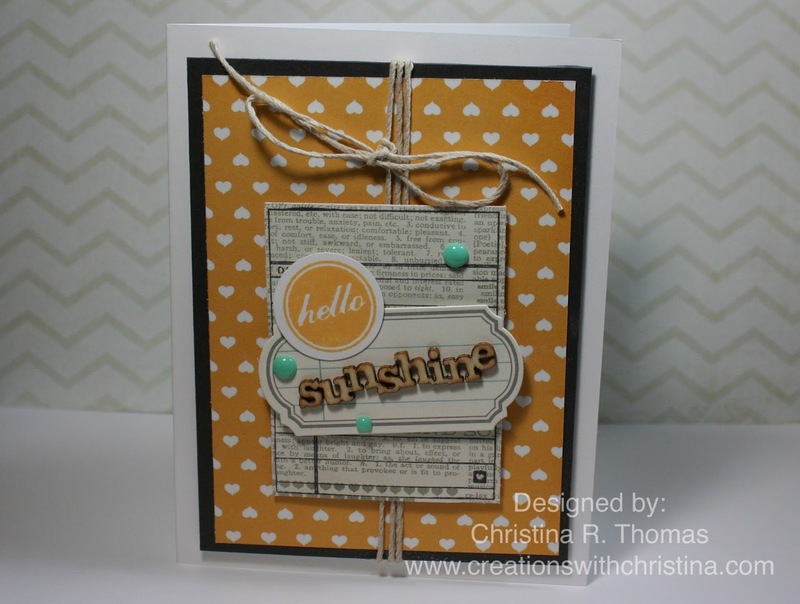 Love your card!So Very Pretty!!! I love your card. I am happy that your mojo is back. Your cards are so inspirational. Loved your video! And the card is really wonderful, I love how you mixed it all up with the extras. I'd say you are back. I really like the color combinations. We've missed you too, Christina. I understand about the missing mojo. Christina, could you do another album for us? I get So inspired when you do! Missed your posts and videos but I know that we all need a break at times-inspiration doesn't always come easy--guess you can call it scrappers block. Adorable card! I loved the color combinations that you come up with; very inspiring to us. 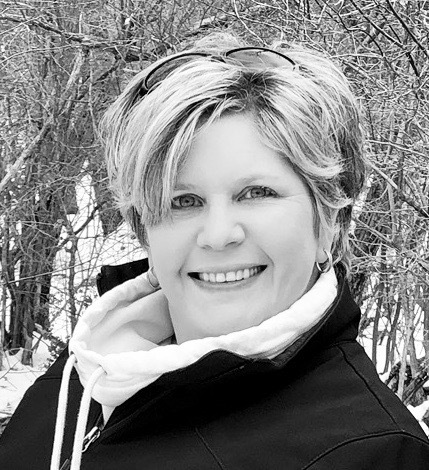 BethAnn M.
Love your videos! 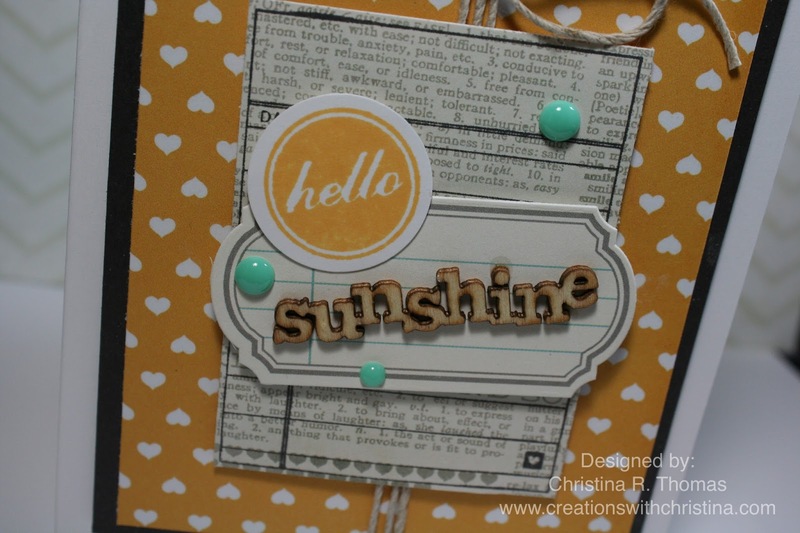 I really liked the little pop of color with the enamel dots. Thanks for being a kind soul and for always sharing your organization tips and fabulous creations. Love the card! My mojo has been MIA for about 6 weeks :( But I have kept up on you. I so enjoy your work. 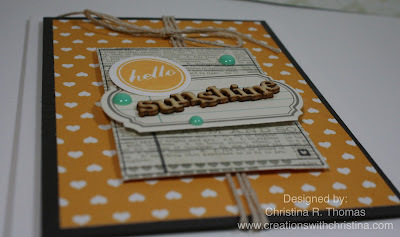 Many times I have used bits and color combos from your cards for my scrapbook pages. Hope you are having a sweet summer.